Chocolate Buttercream is one of my favorite icings. Not only does it taste good, it is the perfect brown color. It looks good with so many other color accents. 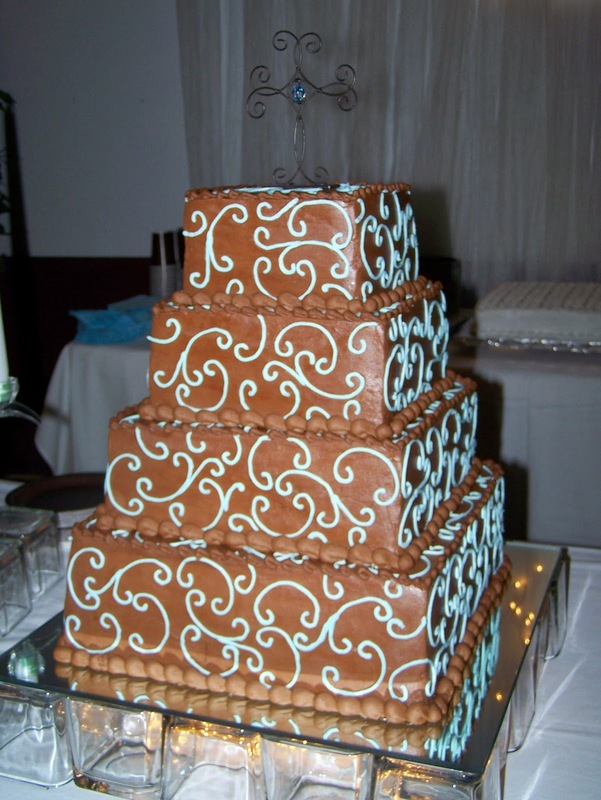 On this wedding cake the bride wanted light blue squiggles. The squares were 6", 8", 10", and 12". 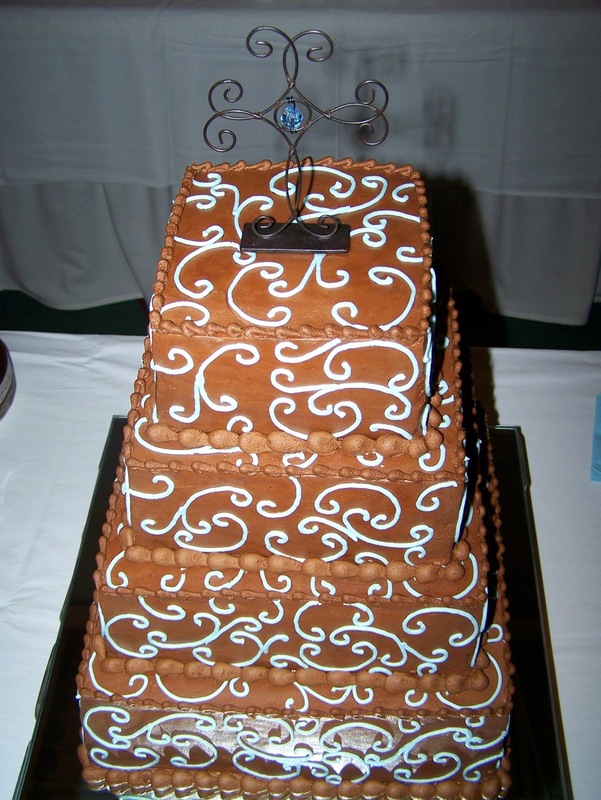 It has been several years since I made this cake, so I can't remember what flavor of cake was on the inside. The bride was very pleased, it was exactly what she wanted. Beautiful cake Lisa...and looks yummy too!